Where to next for mobile gaming? Anybody over the age of twenty, who plays video games - either on their PC or a console - knows that video games aren’t just for kids. – 68% of Australians play video games. – 88 minutes is the average daily total of all game play. – 47% of video game players are female. – 33 years old is the average age of video game players. – 78% of players are aged 18 years or older. – 39% of those aged 65 and over play video games. These statistics were actually very similar to data taken from ESA, which investigated the American market and saw that almost 59% of the population played video games, with the average video game player in their early 30's. And what types of games are they playing? According to eMarketer, in 2013 over 50% of smartphone users played games on their phones. That figure grew steadily over the next few years, increasing by about 5% every year to 70% in 2016. The research predicts that by 2019, over 75% of smartphone users would be smartphone gamers. That’s over 60% of the US population! As smartphones get bigger, better, and more powerful - playing games on them becomes a lot more fun. So there’s no surprise that the rate of mobile gaming is increasing with some correlation to the smartphone’s evolution. The reason behind the shift lies with the simple matter of accessibility. Snake was a pretty great game on the Nokia 3210. But it wasn’t a game that could singlehandedly hold your attention for hours on end. Today, however, there are thousands of mobile games people can download. They’re engaging, use great graphics, and can be played against friends and family online. Couple this with how people naturally spend so much time on their phones, and what you get is a winning formula. But where’s it all headed? The exciting aspect to all this is that mobile gaming, like the mobile platform itself, is headed in an exciting direction. Here’s what we’re looking forwards to with the future of mobile gaming. Augmented reality gaming is, without a doubt, the most exciting path along which mobile gaming will dance for the time being. Eyes wide. Senses absorbed. Reality transformed. If you’re not aware of the term, augmented reality is seen as the "Ability to witness an altered version of our world via a smartphone display, goofy glasses, or through a camera." – Gizmod. Laptop describes it as - "changing our view of the world by merging our environmental surroundings with digital data and media." Simply put, AR is seen as the "integration of digital information with the user's environment in real time." Unlike virtual reality, which creates a totally artificial environment, augmented reality uses the existing environment and overlays new information on top of it. Early AR has taken many forms. It was a a little under developed when it was used as HUD on the Pontiac Grand Prix and Aztek. It found its way into the military, being used for over a decade - most recently built into the helmets of F-35 pilots. It has actually also become quite popular in app's like - Acrossair’s New York Nearest Subway iPhone app ($1.99; www.acrossair.com; iTunes) which overlays the nearest subway stations on a picture of your surroundings by leveraging your handset’s camera. 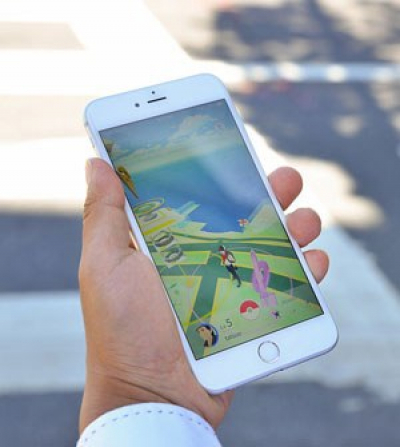 But while we were all looking for AR to really be shaped and take off into virtual reality with Google glasses and the Samsung Gear VR leading the way, the technology displayed in such games as Pokemon Go, for example only demonstrate the potential future of this innovative technology on its own. While it looks somewhat ridiculous and underdeveloped (graphics-wise) now, the idea that AR technology could very much be a large part of our lives in the not too distant future is very real. According to Vox, Pokemon Go works by “using your phone’s GPS and clock to detect where and when you are in the game and make Pokémon “appear” around you (on your phone screen) so you can go and catch them. As you move around, different and more types of Pokémon will appear depending on where you are and what time it is. The idea is to encourage you to travel around the real world to catch Pokémon in the game. The idea of taking the real world, your surroundings and mixing it with what’s happening within the game. While this sort of innovation is exciting in itself, think of the possibilities of this type of technology in the future. Think about the way it will change not only the gaming industry but mobile applications and programs as a collective. AR isn’t just about finding subway entrances, catching pokemon and looking stupid in the process. There’s a lot of potential for the technology within infrastructure and healthcare fields that have yet to be fully explored. How far away are we, really, from augmented reality games dominating the way we engage with our mobile games and other devices? 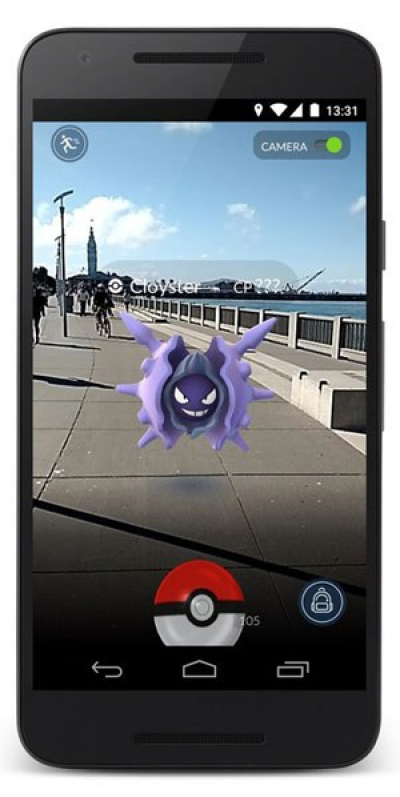 What seems for sure, though, is that we will, sooner than later, have the boundaries of AR technology pushed as a result of games like Pokemon Go and its popularity. Have you heard of mixed reality or hybrid reality before? If you're excited about augmented realtiy now, wait until mixed reality truly hits the market. The concept behind mixed reality is the "merging of real and virtual worlds to produce new environments and visualisations where physical and digital objects co-exist and interact in real time". Think Star Wars, Star Trek, and really any movie that uses cool futuristic technology to move shapes and objects that could be considered projections or virtual illusions. This once unimagined form of technology is now starting to really take shape, function, and is beginning to grow and evolve. 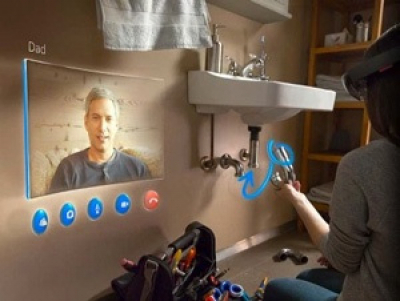 The tech world was already buzzing when Microsoft dropped the bomb of their HoloLens project. HoloLens is seemingly already delivering the promise of a true mixed reality experience today. Both WIRED and C-NET report hands on experience with the device describing it as jaw dropping and amazing. The real excitement though lies with companies like Magic Leap (seriously if you haven't check it out! ), the world’s most secretive startup who are developing "secret" mixed reality technology that will change the way we view and engage with technology moving forwards. The iPhone 6’s release introduced a large market to the world of 3D touch, more or less an evolved version of Apple Watch’s Force Touch. This technology allows users to toggle between various UI elements by how hard they push down on the screen. Touching lightly on the screen will trigger one function while pushing harder on that same part of the screen will trigger another. Naturally, game developers are making the most of this ability. Grand Theft Auto: Liberty City Storiesis one such game, and it uses 3D Touch to aid steering controls. (Strangely, though, it didn’t integrate 3D Touch for braking and accelerating, which is a shame). In the game Warhammer 40,000: Freeblade (which is free on the iPhone), you can use 3D Touch to zoom in, as well as activate your secondary weapons. If we compare it to the evolution of the console, 3D touch is like having triggers on a PS4 remote instead of bumpers; it's the ability to push in the analog stick to melee attack someone in COD. For mobile, it rounds out the experience, and without adding another layer of complexity. Many of us have probably, at least once, spent hours on the Wii—flapping our arms from left to right in an attempt to hit a virtual tennis ball over to Yoshi’s backhand, or perhaps steering Wario to a tense victory on Rainbow Road. It’s not a particularly new technology, and it’s been tried many times over the years. 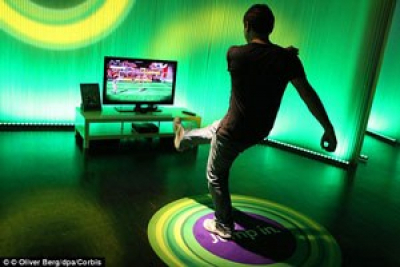 There are two schools of motion control, one’s exemplified by the Wii, the other by the Xbox Kinect (which you can read more about here). Already mobile is using some variation of this, which is why you can tilt your phone to steer in racing games. It’s also why the Sam Groth tennis app - that’s been used at the last two Australian Open's - is possible. Like Kinect and Wii have shown us, there are still a lot of creases that need to be ironed out before motion sensor games, on any platform (let alone mobile), are something to get really excited over. 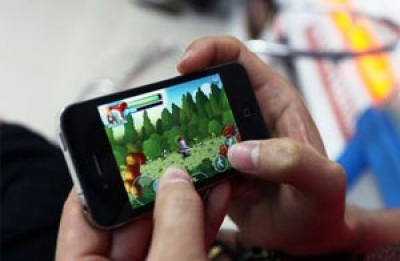 Don’t expect huge developments to take hold of mobile gaming anytime soon. I feel in the next year or two, we can expect much of the same as what we have now as organisations fine tune the technology we have. I am excited though for what this type of technology symbolises for the 'big picture' of mobile, gaming and technology in general as the blurred line between reality and technology slowly starts to diminish.